Featuring continuous textual references to the gods of ancient civilizations, French battering ensemble, KRONOS, has been bludgeoning ears with a heightened level of dynamics accomplished by only by a select number of bands for over fifteen years. It’s a point that rings mercilessly clear on their newest full-length, Arisen New Era, set for worldwide deployment this week via Unique Leader Records. Recorded, mixed and mastered by David Potvin at Dome Studios (Lyzanxia, Arcania, Under The Abyss etc.) in (appropriately) Angers, France, the nine-track Arisen New Era is a smoldering display of technical death metal barbarity adorned in the distinctive cover art of Pierre Alain (Withering Soul, Silentlie, Cyrax etc.) all centered on a bloody battle between the gods of Olympus and the Titans. Go to battle with Arisen New Era, courtesy of Heavy Blog Is Heavy, at THIS LOCATION. 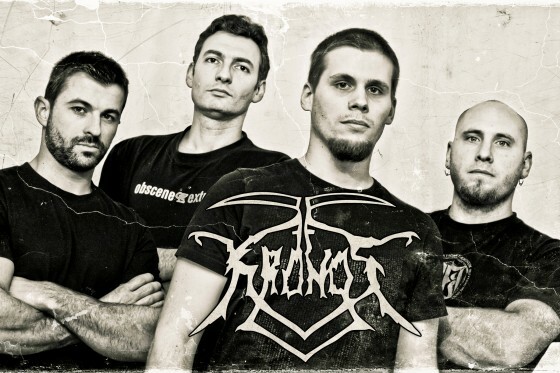 A name derived from the Greek god of time, Kronos (or Cronus), father of Zeus, KRONOS was forged in 1994 in a small town in the Northeastern province of Alsace-Lorraine and quickly established a name for themselves based solely on their musical unity of harmony and violence. 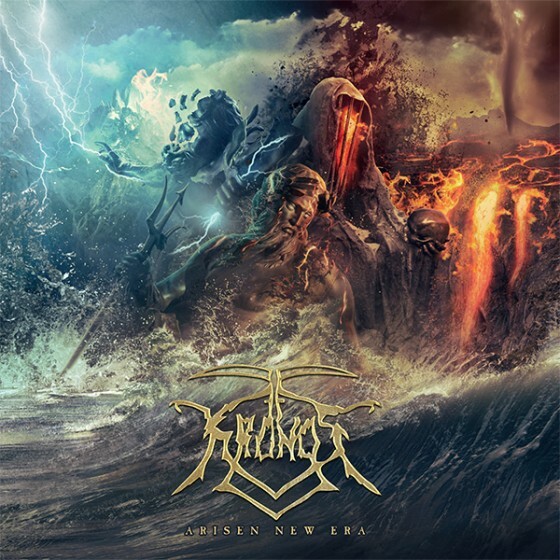 On their fourth full-length KRONOS continues to uphold their signature brand of meticulously arranged and conceptually stirring brutality. Arisen New Era will be released via Unique Leader Records on July 24th, 2015. Preorders are available at THIS LOCATION. For digital orders, go HERE.